The Highlander reboot is alive and well, but it may not be heading to a theater near you. 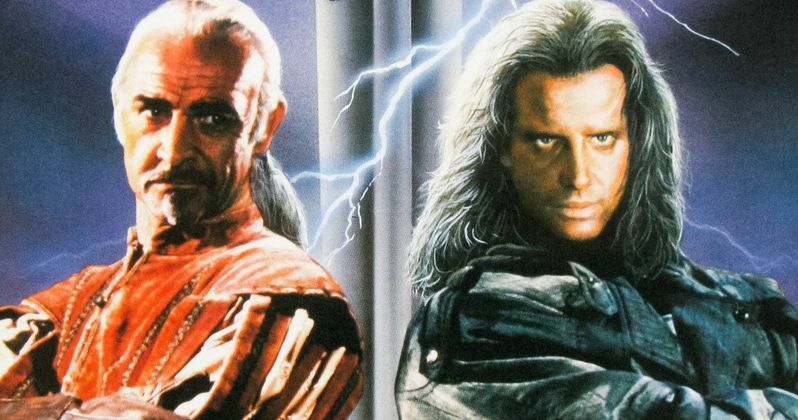 For the past several years, John Wick director Chad Stahelski has been attached to bring Highlander back to the forefront of pop culture with a new iteration of the once-popular franchise. He's still on board, but it's evolved to the point that he and Lionsgate may consider turning into a TV series for a major streaming service. Chad Stahelski recently spoke a bit about his new take on the property following the release of the trailer for John Wick: Chapter 3 - Parabellum. As he discussed, the idea lends itself to a longer form of storytelling and they don't want to just blow everything they have in two hours or less. Here's what he had to say about it. "Still fighting the good fight. Highlander is an interesting property. It's through Lionsgate as well and Neal Moritz. We're trying to get it done. Anyone who knows anything about the property knows it has a lot of meat to it. It's a good property. It's got a lot of potential. We're just trying to figure out the best way not to f*** it up. Not to try and fit it into a 1 hour, 45 minute movie, which, when your pitch is, 'There can be only one,' and in your first movie you kill everybody but the one, sequels have a problem of happening. So we're trying to design in a way that gives us a little more lead in, a little more time with the mythology and see some of the best characters. They did seven seasons of TV, and even though the TV show may not hold up today, the idea of it and the characters they brought in were super cool. So we're trying to devise a methodology that leads up to The Quickening. You just don't end with a one-on-one battle in New York, cut off a guy's head, and that's it. We want to do this in such a way that it becomes more of a series whether it's short form or long form that would let us explore that in the best way. I have a huge, heartfelt love and respect for the project, so we're trying to find the best way to do it to give fans what they want." Indeed, a Highlander TV series did happen in the 90s, but it's nowhere near where we're at these days in the golden age of television. With so many services fighting for premium content, especially content that is connected to an already existing and recognizable franchise, there is no reason this couldn't become a series instead. Chad Stahelski also talked a bit about what they hope to accomplish and why a streaming service like Netflix may be the best option. "We're well past the script phase in terms of what we want to accomplish with a feature-length version of what we want and based on there being more after that. We want to tell the complete story of The Quickening, the Immortals, and all that. But the overall environment is changing so much. Look what Netflix is doing with TV now. As an action designer myself, there are two or three episodes of Game of Thrones that blow away 90% of features. Netflix has a whole new delivery system with features on that coming off differently and letting filmmakers and directors expand out without being crushed by opening weekend box office. So there's a couple different mediums we want to explore and what is the best way to bring this out in." The Game of Thrones point is particularly interesting. Highlander definitely has some qualities that could draw some comparisons, if executed the right way. One person on the Iron Throne/there can only be one. In any event, the project seems to be moving along, slowly but surely. Hopefully, once Chad Stahelski's commitments on John Wick 3 wrap up, he can focus on really getting this train moving down the tracks. This news was first reported by Collider. Highlander Remake Gets Dave Bautista as the Villain?